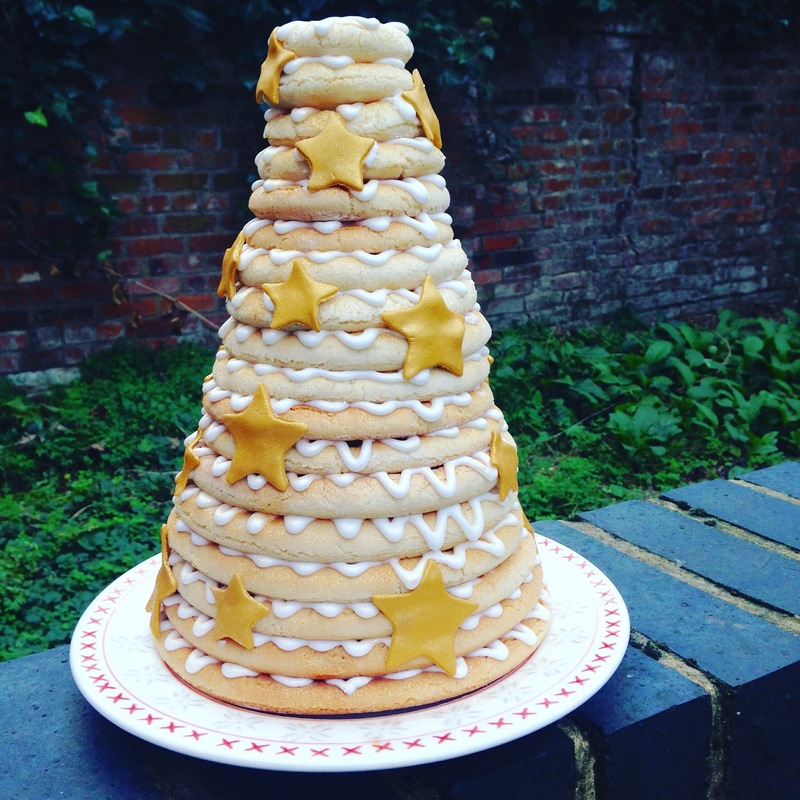 I don’t know about you, but I don’t think there is anything more show stopping than the towering Kransekake Cake which would look simply spectacular at the centre of any Christmas dinner table! The Kransekake is a traditional Scandinavian cake which is often served at special occasions including weddings and Christmas celebrations. It consists of 18 almond flavoured rings which are stacked on top of each other to form an impressive tower – If you’re a Marzipan fan, you’ll love this cake! Although it looks very impressive, it’s actually quite straight forward to make! The rings are made from a dough consisting of ground almonds, icing sugar and egg whites which is shaped to fit Kransekake moulds which can be found at Lakeland. Kransekake Cakes are usually gluten free, although dough is sometimes rolled out in Semolina flour which is not suitable for Coeliacs. For my Kransekake cake, I rolled the dough out in Cornflour instead of Semolina. 1. In a large bowl mix together the ground almonds and icing sugar. 2. Add the egg whites and almond extract, then using your hands work the ingredients into a smooth ball of slightly sticky dough. 3. Chill the dough in the fridge for at least two hours. 4. Preheat the oven to 200 degrees C/Gas Mark 6. 5. Spray the Kransekake moulds with oil and dust them generously with cornflour. 6. 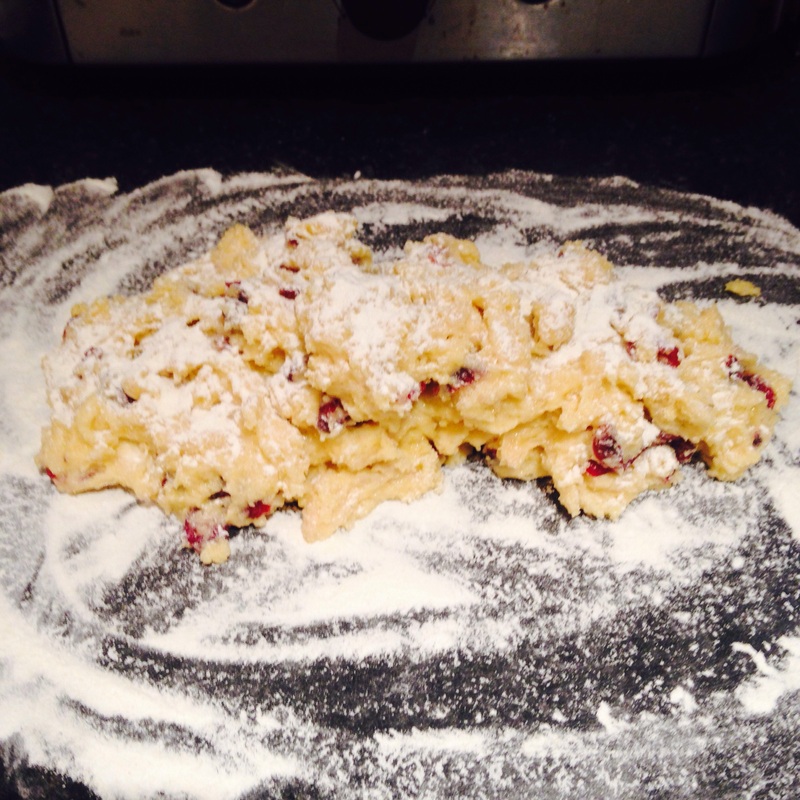 Dust a work surface with cornflour and split the dough into 6 equally sized pieces. 7. Split one of the pieces of dough into three different sized pieces: one large, one medium and one small. 8. Roll the balls of dough out into pieces which are approximately a finger-width and long enough to wrap round the Kransekake moulds. 9. Place the first piece into the Kransekake mould and pinch the ends together. Repeat with all the other pieces until all the moulds are filled. 10. Place the moulds onto a baking tray and bake for 10 minutes or until golden brown. 11. Remove the Kransekake rings from the oven and allow them to set in their moulds – if you try to remove them while they are warm they will break! Once the Kransekake are cool remove them from their moulds and set them aside while you make the icing. 12. To make the Royal Icing, place the egg whites in a bowl and slowly sift in the icing sugar in batches. In between each batch of sugar stir the icing with a wooden spoon or a balloon whisk until the icing thickens up. 13. Spoon the icing into a piping bag fitted with a small round writing nozzle. 14. Before you begin to decorate, sort the rings out into size order. 15. Place the largest ring onto your serving plate (you could use a bit of icing to adhere it to the plate and stop it from slipping around). Pipe a zig-zag pattern onto the ring and place the second largest ring on top. Repeat until all the rings have been neatly stacked. 16. 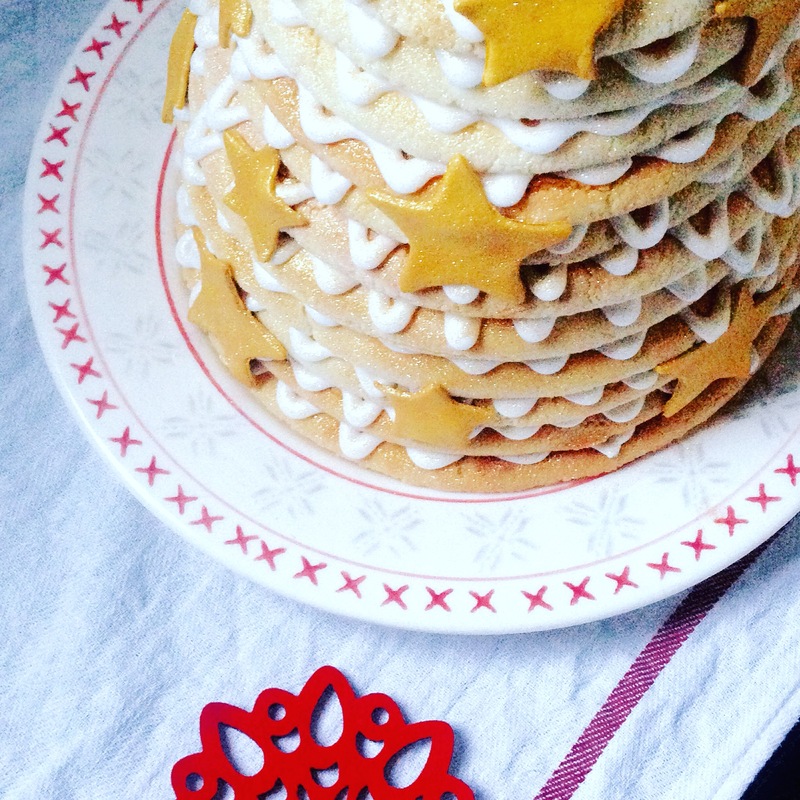 To finish, spray the Kransekake with edible spray glitter. I made mine extra special by covering it in gold stars made from fondant icing. I hope you all enjoy the Christmas season and have a go at my Christmas recipes this year, which also include my Gluten Free Gingerbread Cookies which I posted last Christmas, my Hazelnut Cranberry and Orange Biscotti and my Cointreau Christmas Cake. I am taking a well deserved Christmas break, but I will be back in the New Year with plenty more gluten free recipes for you all to try. In the meantime, why not check out my out my Instagram page or my Facebook page to see what else I get up to over Christmas! 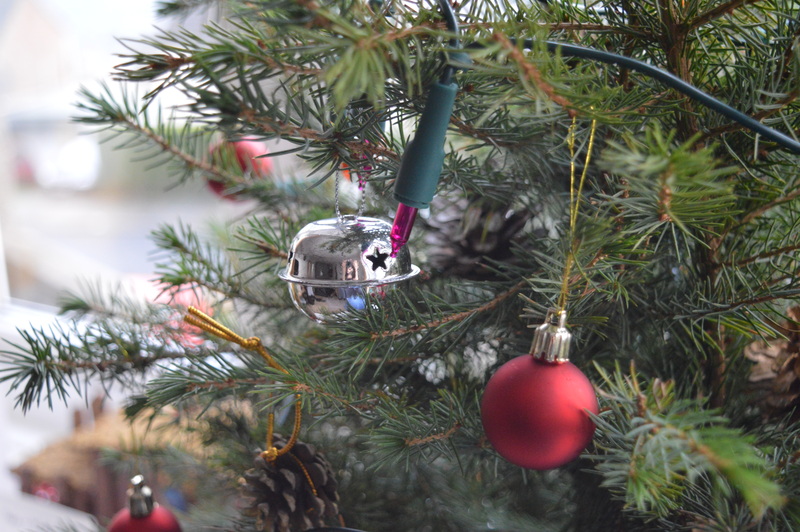 It’s December which means one thing and one thing only… IT’S CHRISTMAS!!! 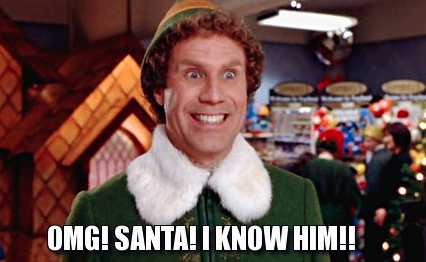 We are only a week into December and my friends have already accused me of Buddy The Elf levels of excitement at least a hundred times… but I can’t help it because Christmas is my favourite time of the year! The decorations are up, I’ve made my first batch of gingerbread, I’ve drunk my first mulled wine of the season and I’ve listened to my Christmas playlist on loop for about a week so I can confirm that I am officially in full Christmas mode. For me, the best thing about Christmas is the food. I love all the flavours that the season has to offer more than any other time of year and quite frankly it’s not christmas without spicy gingerbread, chewy chestnuts, juicy clementines or even Brussels sprouts! Following a gluten free diet has never stopped me enjoying Christmas either. If anything, I’ve found more enjoyment in food because having to bake my own festive treats is all part of the fun. 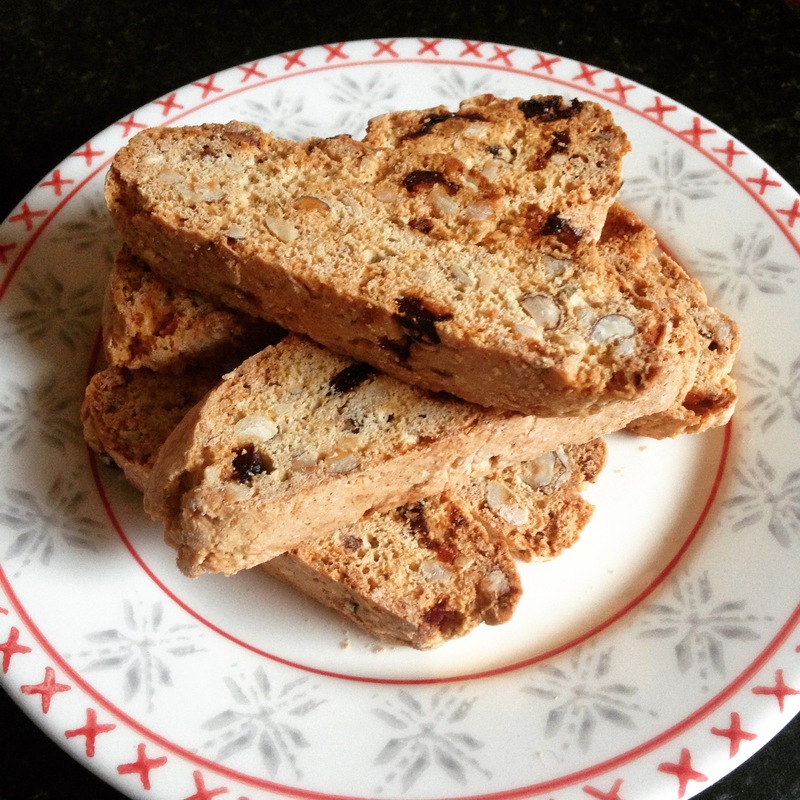 I have tonnes of Christmas recipes which I cannot wait to share with you but I’m going to start with my Hazelnut, Cranberry and Orange Biscotti recipe. 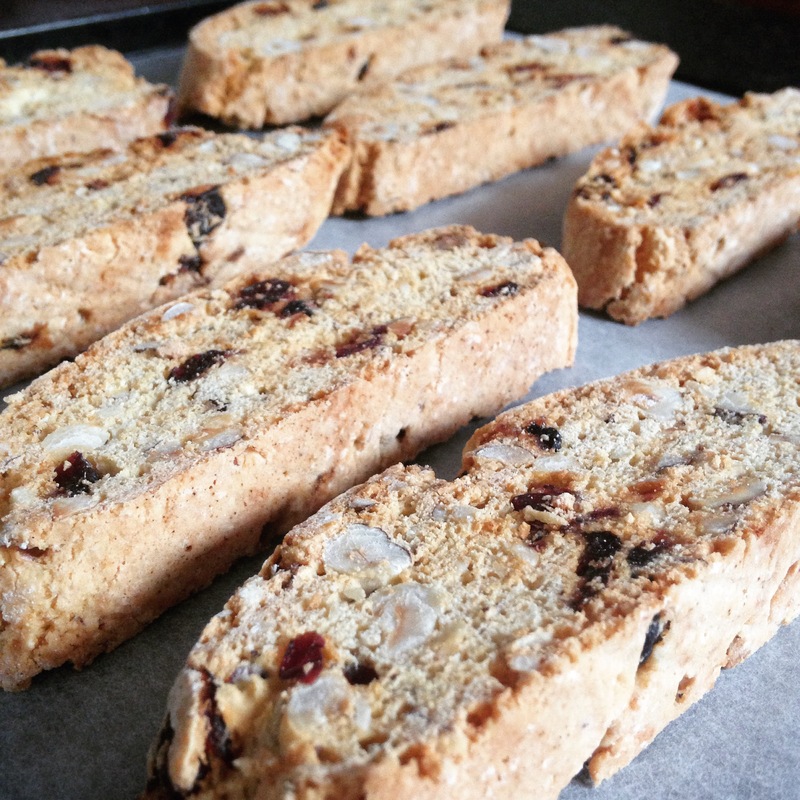 Since I shared my Cranberry, Almond and White Chocolate Biscotti recipe a few months back I’ve had it in my mind to create a version using more festive flavours for Christmas. When my family and I arrive home from church on Christmas morning we usually enjoy a cup of tea or coffee with a sweet treat just before opening all the presents. I think this year these Biscotti would be absolutely perfect and I will definitely be making a batch for the big day. 2. Line a large baking tray with greaseproof paper. 3. In a large bowl, stir together the caster sugar, baking powder and flour. 4. Add the eggs, cranberries and hazelnuts then mix until all the ingredients are combined. The mixture will be slightly wetter than expected so please don’t panic and add more flour. Remember that gluten free flour needs more moisture than regular flour and these biscuits are going to be baked twice – if you add more flour you’ll end up with a very dry dough which will result in an overly dry biscotti that cannot be baked twice. 5. Separate the mixture into two halves and generously dust a work surface with a flour. 6. Spoon one half of the mixture onto the work surface into a rough log shape then dust the mixture with a generous layer of flour – do not knead or roll the mixture but gently use your hands to shape the mixture into a log shape. The flour will stick to the mixture like a coating which will help the log keep it shape whilst allowing the inside to stay soft. 7. Transfer to the log to a baking tray (you could use a cake lifter to help) then flatten the log slightly so it’s approximately the width of a ciabatta. Repeat the with the other half of the mixture then place the second log on the tray – make sure you leave a little room between to allow them to expand slightly. 8. Bake for 20 to 25 minutes or until the biscotti is golden brown. Transfer the biscotti to a wire rack to cool completely. Leave the oven on. 9. Once the biscotti is cool, slice it diagonally across into inch thick slices. Do not attempt to slice the biscotti whilst still warm or it will crumble. 10. 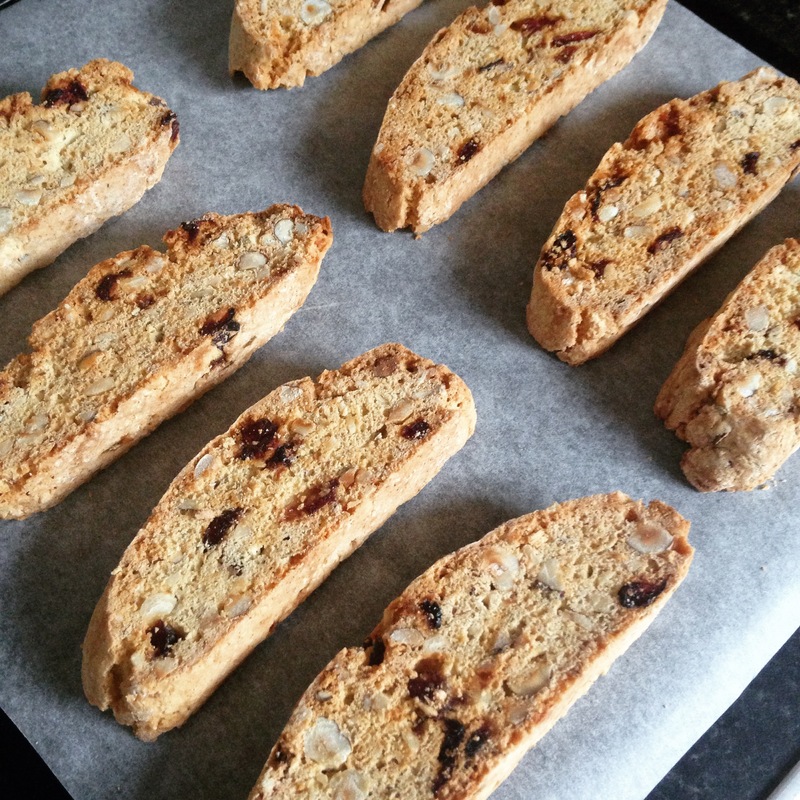 Transfer the biscotti back onto the baking tray and bake for a further 6 to 8 minutes on each side. Leave the biscotti to cool completely before serving. 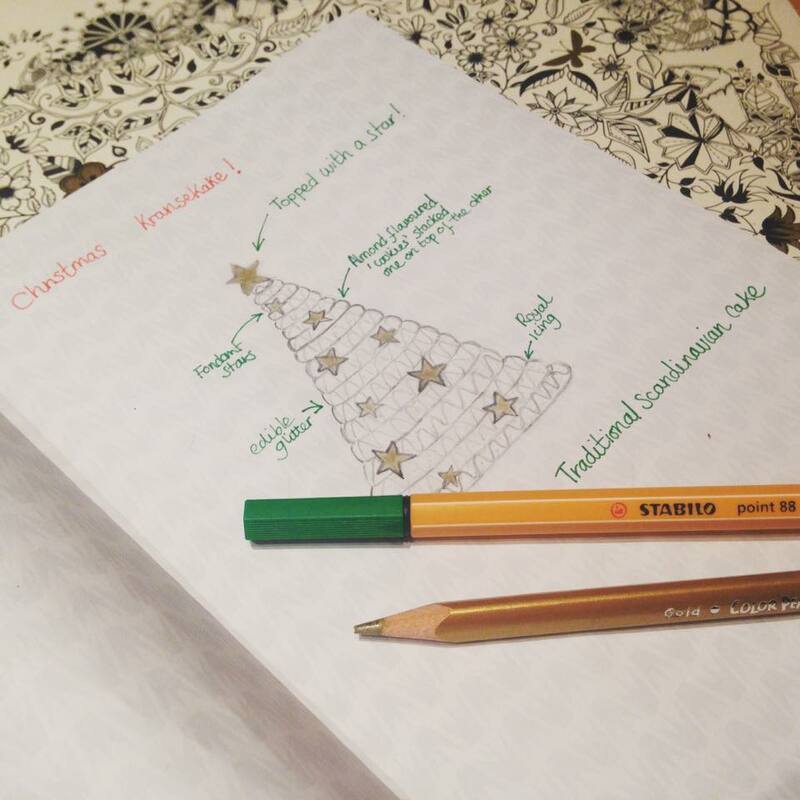 I can’t wait to show you what else I have planned for Christmas, but if you are looking for more Christmas inspiration in the meantime, why not take a look at my Gluten Free Gingerbread Cookies recipe which I posted last Christmas, or, follow me over on Instagram or Facebook to see what else I’m getting up to. 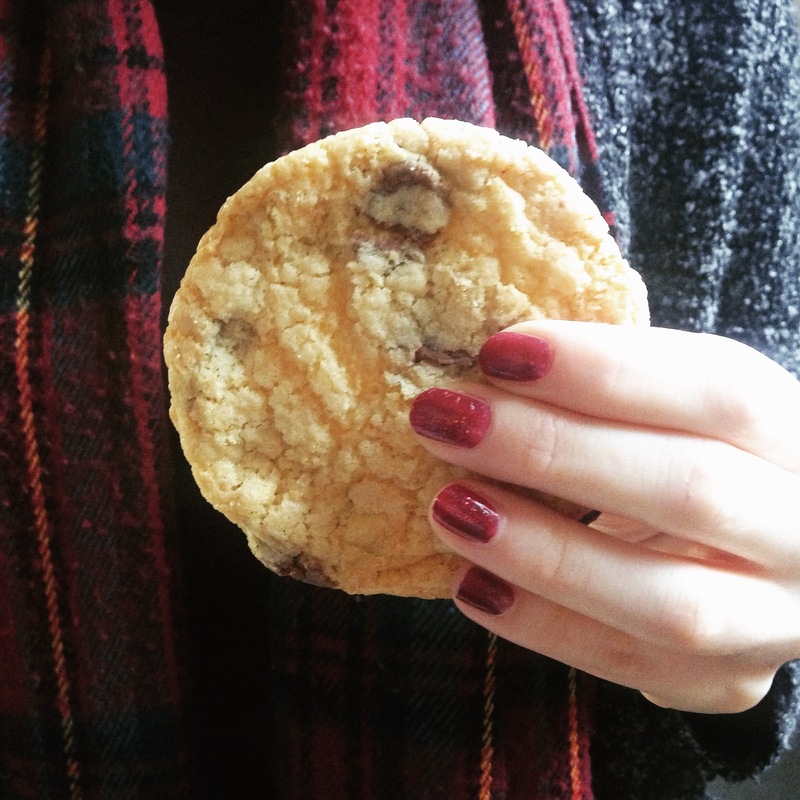 Today I’m really excited to share with you my recipe for Gluten Free American Style Chocolate Chip Cookies! I know you can buy gluten free cookies from the supermarket, but they’re not the same! You might think I am being picky, but supermarket versions are rather chunky and crunchy, not soft and chewy like the ones you can buy freshly made from bakeries. I decided the only thing for it was to make my own and although I haven’t had a proper cookie in over three years, these cookies are exactly like what I remember! 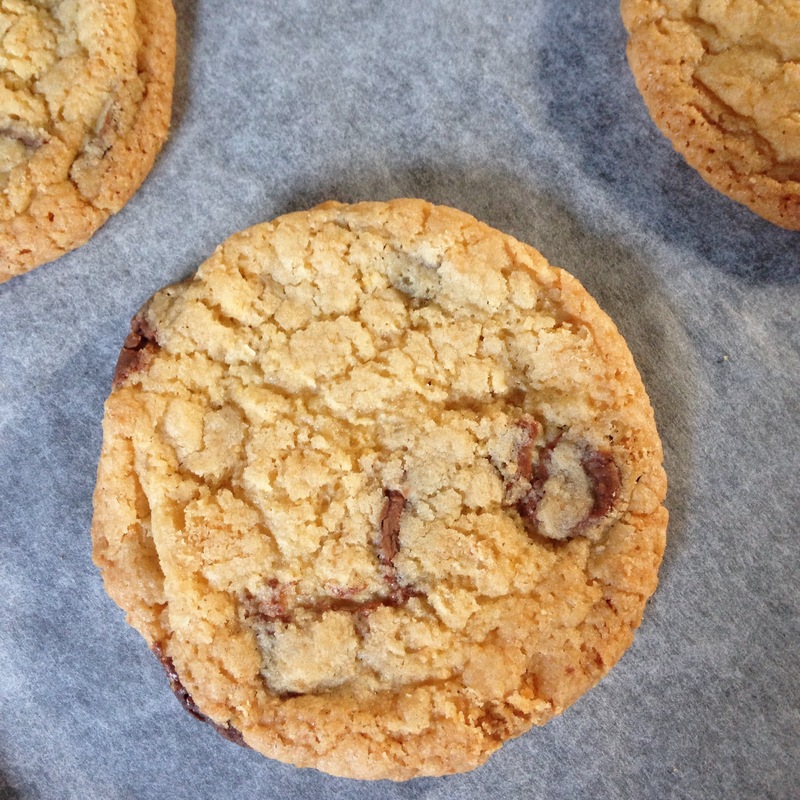 They have a slightly crunchy outside and a lovely soft and chewy centre bursting with chocolate chips. 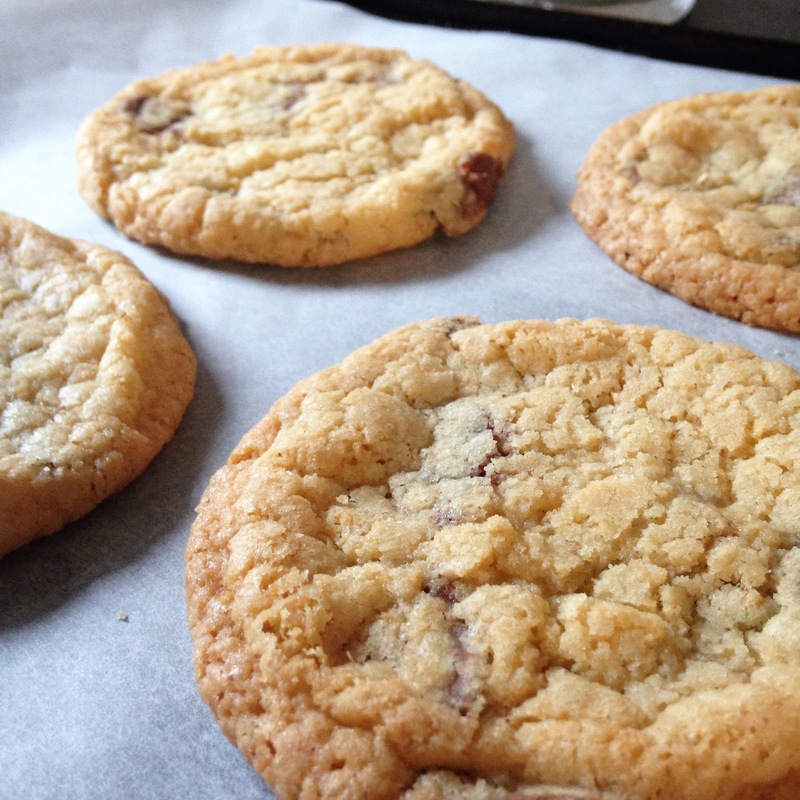 The trick to making the best chocolate chip cookies to make sure you don’t over bake them. I accidentally over baked the first few which made them a bit too hard, but if you take them out of the oven while they are still quite soft and leave them to set on the baking tray your cookies will retain their chewy centre. 1. In a large bowl, mix together the flours and the sugar. 2. Add the melted butter, vanilla extract, egg yolks and milk. Mix until all the ingredients are combined then fold through the chocolate chips. 3. 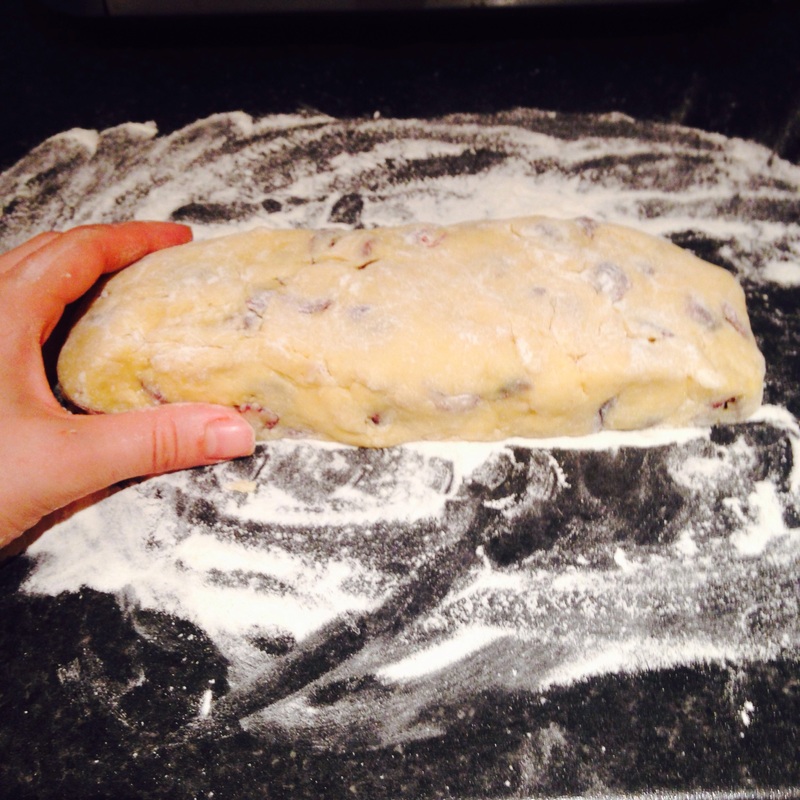 Wrap the cookie dough in cling film, then chill the dough in the fridge for a few hours until it has firmed up. 4. Heat oven to 180 degrees C/160 Fan/Gas Mark 3. 5. Line two large baking trays with baking parchment. 6. Separate the dough into pieces that weigh approximately 35g each and roll each one into a ball shape. 7. Place the balls of dough on the prepared baking trays making sure you leave room for the cookies to spread out as they bake. 8. Bake the cookies for 12 – 15 minutes. The cookies should be golden brown and will remain quite soft – don’t be tempted to bake them for longer. If the cookies have puffed up a bit, gently press them down with your fingers a few times towards the end of the bake so you don’t end up with cookies which are too dense and cake like. 9. Leave the cookies to firm up on the baking tray then carefully transfer them to a wire rack to cool completely. Tis almost the season to be jolly, so I will have plenty of Christmas recipes coming real soon. In the meantime, come and follow me over on Instagram or Facebook to see what else I’m getting up to!